Has it really almost been a week since I posted? Sorry peeps. All I can say is I needed to take some time to catch up on the other areas of life. You know family, work, volunteering, grocery shopping, housework... it's never ending. Notice I listed housework last. LOL! I hope you all didn't miss me too much. I still felt in contact with everyone because of the sketch challenge! Sooo fun to see so many new faces playing along. And of course the "usual suspects!" We even had someone from Norway play along! Thank you guys for helping me still feel connected this week! SHUT THE DOOR! If this card didn't make you smile from ear to ear, then you may need to check your pulse. Don't you just love it? This image is soooo incredibly cute. Maureen couldn't have picked better paper for her layout too. I think I even have some of this (October Afternoon Farm Fresh maybe) in my stash! There are so many things to love about this card. How about how she worked in her sentiment?! LOVE that she mixed it up with stickers and die cuts!! And I'm not sure if you can tell from this picture, but this image is actually popped up. 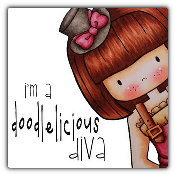 Yeppers!! The paper piecing also adds a lot of fun dimension to it too. You guys have to check out the other shots she has of this cutie on her blog, My C.A.S.E. Studies. Be sure to give her some love while you're there too. This weeks sketch was inspired by a little friend of mine that you met last week during sneak peeks for All That Scraps. Remember I'll choose the most clever, creative, and cute creation from the submissions this week to be the next Sketch Artist. 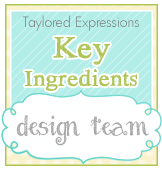 Your design will also be featured on my blog next week! You have until next Wed. 3/16 to play along. When uploading to SCS and PCP or or your blog please use keyword ESS121 for the challenge. maureen; what a happy card! love the mix of dp you used, and how you used different elements for your sentiment. 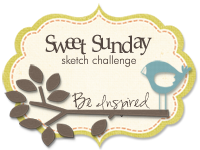 congratulations on being chosen sketch artist this week!! Just found your blog and joined as a follower. Now you have reached that magical 100! 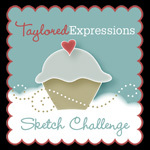 I'm off to undertake the sketch challenge. Thanks for the wonderful inspiration. I have been meaning to work with your sketches for months now! Wish there was more time in the day - I've been doing a little bit of crafting but I never seem to take pictures ... which means I don't get anything else uploaded!! Must change that!! Maureen congrats to you! What an amazing card. Love how you did the sentiment and the papers you used, yummy! love it! Thanks tracy for another cool sketch! be right back w/ a card. Well done Maureen - fabulous card! Love this new sketch Tracy - will actually submit mine in time this week, lol!! Great card! Maureen, what a fun card, love it. Oh, this is a great sketch Tracy, I'm sure I'll come back to this one over and over! Thanks for the inspiration. Such a DARLING card! I just had to use your sketch today!! Maureen, your card is so cheerful and cute! 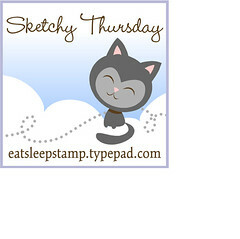 The sketch looks like a lot of fun and your sample card is adorable! Love that little monkey! Tracy, I will be back with my card soon. I know right. I got some time to play this week yiippee!! Great sketch, as always, my friend. Hope you're doing well. Miss yah! hey tracy! back with my card:):) just wanted to say hi, and thanks for the inspiration!!!! Hey Tracy!!!! Great to be on here again! :) Congrats on the 100!!!! You Rock!!! I am sorry I posted my card twice, the first post is wrong, it doesn't go to my blog for some reason, So that is why I posted a second time :) Sorry! Thank you for such wonderful sketches and inspiration!!!! Yay! Thanks so much for picking my card this week and for all the inspiring sketches you share with us! I just adore this little monkey card - so cute and fun! !